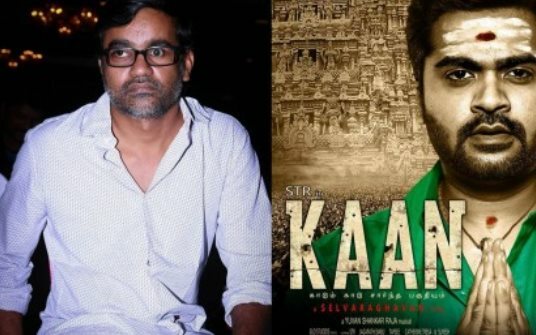 Filmmaker Selvaraghavan, who had put Tamil Spy-Thriller 'Kaan' on the back-burner, says the film hasn't been shelved and he's very eager to resume work on the project as soon as possible. The film featured Simbu, Taapsee Pannu and Jagapathi Babu in the lead roles. A schedule was finished but then the film was stalled indefinately due to financial constraints faced by the producers. "I have never said I dropped 'Kaan'. The cast and crew were a delight to work with. Simbu even stayed up all night just to report on time," Selvaraghavan, who put the project on hold after wrapping up the first schedule, wrote on his Twitter page on Friday night. "Our problems were entirely unanticipated and none of us had any control over the situation. We are all eager to resume 'Kaan' soon," he added. Selvaraghavan is currently busy directing Tamil horror-thriller "Nenjam Marappathillai"